CCM is visiting the FIC 2018 in Shanghai. Before going to the exhibition and meeting China’s top players in the food industry, we are updating you on China’s food ingredients industry in this article, to let you go prepared for the event. The Food Ingredients China 2018 (FIC 2018), held from March 22-24 in Shanghai, is an international brand show in the food additives industry with a huge influence on the development of the food ingredients and additives market in China. Highlights of this exhibition are natural and healthy foods as well as machinery. According to the organizers, more than 90% of the exhibitors are manufacturers, counting over 1,400 booths on 110,000 square meters space. 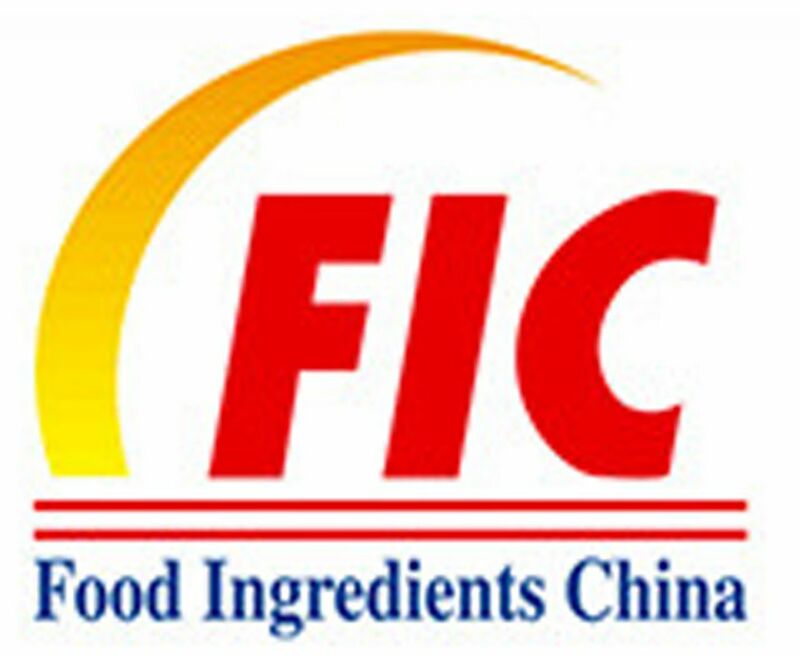 The FIC is the main platform to build sustainable relationships with China’s players in the food ingredients industry, just like vitamins, amino acids, starch, sweeteners and more. Hence, knowledge about the industry in China can be the critical factor in making the best out of visiting the exhibition. CCM helps you to prepare for the FIC 2017 with news about some of China’s most important food ingredients players. In January 2018, Tianjin Kangqi, a glycyrrhiza polysaccharide (GPS) producer with USD31.72 million and covering a total area of 1.7 ha in the Tianjin Economic-Technological Development Area, was listed on the National Equities Exchange and Quotations (NEEQ, known as the New Third Board). Tianjin Kangqi has achieved significant progress in the R&D innovation and practical application of GPS. Its GPS-containing Kangqi Capsule was put on the market in December 2001 and proved to be effective in reducing symptoms of lung diseases, such as cough and dyspnea. Later, it developed GPS Capsule that contains many functional ingredients besides GPS. This new product is proved effective in treating the chronic obstructive pulmonary disease as an immunotherapy in phase I and II clinical trials and now under III clinical trials. as an immunotherapy. If this new drug is approved to be put on the market, it will fill in the gap which has hitherto existed in the clinical medication for COPD. Star Lake Bioscience forecasted on 30 January 2018 that it would have made losses in 2017. The net loss is predicted to be USD26.96 million. Jiangxi Tianxin suspends production on 1 February 2018 for equipment overhauls and maintenance. Production is scheduled to resume in mid-March 2018, lasting for 45 days. Jiangxi Tianxin is mainly engaged in the production of active pharmaceutical ingredients, food and feed additives, and its major products are vitamin B1, vitamin B6, folic acid, etc. It is actually a factory of Zhejiang Tianxin Pharmaceutical Co., Ltd. constructed in Jiangxi Province. At present, Jiangxi Tianxin has 3,000 t/a of vitamin B1 and 5,000 t/a of vitamin B6, accounting for a 30%+ and 70%+ market share respectively in the world. It is also the domestic biggest producer of vitamin B1 and B6. On 17 January 2018, Guilin Layn announced that it would set up a wholly-owned subsidiary – Layn Agricultural – with USD1.54 million of its self-owned funds. Layn Agricultural will be mainly engaged in the R&D, cultivation, purchase/sale and plantation of seeds and sprouts of Luo Han Guo, stevia rebaudiana, sweet tea and other plants., the provision of relevant training and technical guidance services, the purchase, sale, packaging and storage of plant and subsidiary agricultural products as well as the investment and product development in agriculture and forestry. Its establishment is aimed at building a whole industrial chain platform for Guilin Layn's plant extract business to enhance the latter's ability to respond to raw material price fluctuations and ensure an adequate supply of quality products to reduce Guilin Layn's production costs and further improve its core competitiveness. Fufeng and Evonik have entered into a cooperation agreement for the production of L-threonine. Fufeng will toll manufacture the amino acid for Evonik using Evonik's technology. This will help strengthen Fufeng's position as a leading domestic manufacturer of threonine, and for the first time, Evonik is now able to offer it worldwide with a lean asset footprint. Evonik has over 60 years of experience in the production of essential amino acids and provides solutions for efficient and sustainable animal nutrition to customers in over one hundred countries around the world. What's more, it has world-leading technologies of producing amino acids with chemical and fermentation methods. On 22 December 2017, Real Nutriceutical sold three of its affiliated enterprises–Anhui Shuangke, Nanjing Ruinian, and Wuxi Real Pharmaceutical at a price of USD2.27 million. These enterprises are engaged in the production and selling of pharmaceuticals, and their total losses reached USD0.95 million and USD0.31 million in 2015 and 2016 respectively. Real Nutriceutical is a large-scale group engaged in the production, sale and R&D of pharmaceuticals, health food, health-care beverage and cosmetics. Notably, one of its knock-out products, Real Nutri amino acid oral liquid, is a No. 1 brand in the field, taking an over 40% market share domestically. On 22 December 2017, Guilin Layn announced that its wholly-owned subsidiary Layn USA had signed a Food Ingredient Supply Agreement with Starches & Sweeteners Business of Cargill, which meanwhile indicated that their long-term, exclusive Outsourcing and Supply Agreement signed on 1 November 2011 had come to an end. According to the new agreement, specific product variety and quantity will be subject to the individual order sent by Cargill to Layn USA. Join the discussion on China’s food market by coming to our LinkedIn and Facebook group.